Outdoor weave armchair in Mocha receded weave. Distinctive circular back design. Suitable for use indoors and outdoors and available from stock for fast delivery. 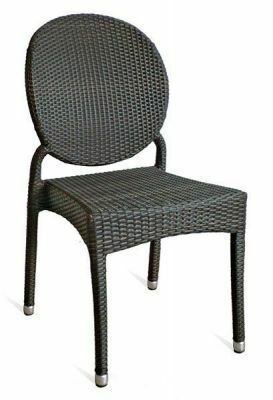 Mocha weave contract chair is suitable for use in all weather conditions. The chair is finished with a feature circular back for a distinctive look.